At Integrated Wellness Center, we take the time to listen to what you tell us and what your body tells us, then we design a treatment plan as individual as you are. Using a variety of adjusting techniques and massage modalities, we strive to help you feel your best and help you better understand your own innate healing abilities through self-care, exercise and nutrition. Our overarching goal is to help you rediscover your core essence. Our practitioners love working with children as well, so let IWC be your family’s source for health and wellness. Dr. Julie Rosenblatt loves what she does. Julie has a true gift as a healer and has been called by patients "a back whisperer." She has a keen intuitive sense of exactly what your body needs and is trying to tell you. Over her decades of practice, she has developed her own unique style of practice. She enjoys working with patients of all ages, from newborns to seniors. 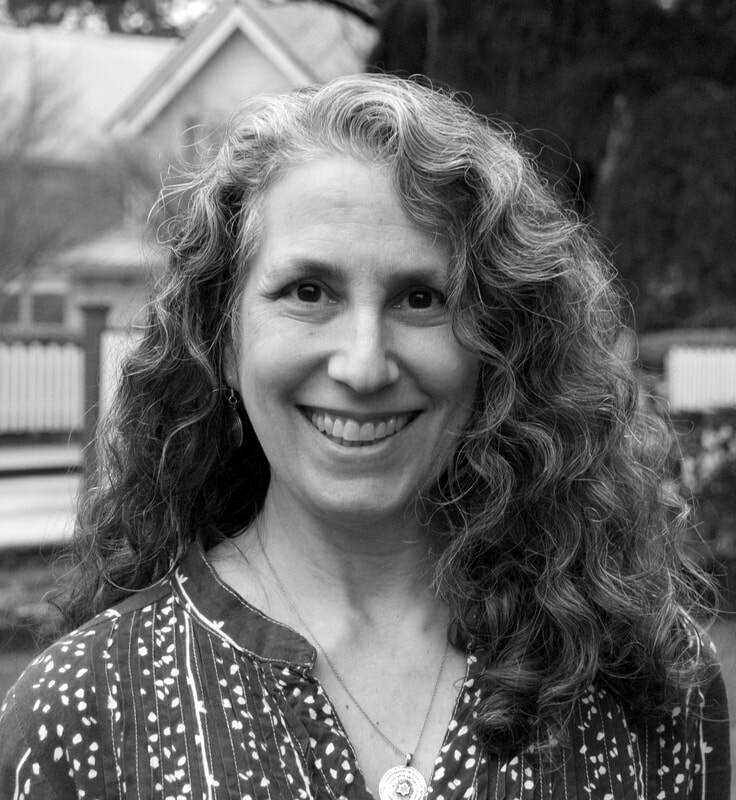 Julie has been practicing on Bainbridge Island since 1994 and prior to that in Seattle. She was also a massage therapist in California and brings that work into her practice. Julie has studied a variety of techniques to ensure she can treat each patient just as they need. Those techniques include: Network Spinal Analysis, BGI, Cranial Sacral Therapy, Pediatric Chiropractic, Acupressure Therapy, Touch for Health and Low Level Laser Therapy. ​Julie graduated from Western States Chiropractic College in 1989 and has been in practice ever since. She is married to David Kotz and they have two incredible daughters. When not at work she can be found with her family, in her garden, dancing, doing yoga or hanging out with her goats. Kay grew in northern NJ and received her undergraduate degree from LeMoyne College in Syracuse, NY. Following college, she relocated to Breckenridge, CO where she worked in the real estate industry. While training to become a yoga teacher and then subsequently teaching yoga, Kay became captivated with the anatomy and mechanics of the spine and how the spine can impact a person’s overall health and well-being. This led her to the Denver Metropolitan University where she took her pre-requisite courses in order to apply to chiropractic college. Kay received her Doctor of Chiropractic Degree following an intensive, 40-month, full-time resident study and clinical internship at the New York Chiropractic College in Seneca Falls, NY. This premier program places special emphasis on neuromusculoskeletal conditions and overall patient wellness. Kay enjoys reading, staying up to date on the latest medical research, running (she has completed both a marathon and half-marathon), skiing, snowboarding, and all things outdoors. Look for Kay at our local beaches on her SUP (stand up paddle board), her new favorite way to explore our island. Emily’s massage is strong, patient and intuitive, incorporating trigger point release, deep tissue, myofascial release, point work and reflexology in a way that best suits the individual. After studying anatomy, physiology and biology at the University of Alaska, Anchorage, Emily received her massage training at Everest College in 2009. She also studied Reiki in Thailand (2004) and has taken continuing education classes in Qi Gong and acupressure. Emily has been using reflexology since 6th grade after learning it from one of her grandparents. In 2013, Emily began training in aquatic bodywork with Dr. Julie Rosenblatt and will receive her 200-hour WATSU certificate this year. Emily travelled extensively, yet always knew Kitsap would be home when she settled down. While working at the Coastal Café in Kingston, Emily met her husband, Brian. They have one son who is currently in 5th grade on Bainbridge. After finishing massage school, Emily and Brian operated an organic wheatgrass farm for two years while Emily built her clientele in the area. When Emily is not giving massage, she enjoys gardening, kayaking, attending concerts and yoga. Annie began her massage training in 2002 at Cypress Health Institute Massage School and Twin Lakes College of the Healing Arts in Santa Cruz, California. For the three years following her training, she practiced for a Chiropractic and Homeopathy clinic. During this time, she focused on energy and treatment work. Annie moved to Seattle in 2005 and continued her massage training at Cortiva Institute in 2007. At Cortiva she developed a passion for Anatomy and Kinesiology, which has greatly informed her experience as a practitioner. After graduation she worked for an Aveda concept salon and spa where she gathered tools for adding deep relaxation to her practice. Annie has since had a private practice and done more treatment work for a Chiropractor. ​Ruby studied massage therapy at Ashmead College, graduating in 2005. ​Ruby began her career working in resort spas, years later expanding to more clinical style massage with a rehabilitation wellness clinic. She practices myofascial release, trigger point therapy, positional release technique, as well as other manual techniques to release connective tissue and improve mobility. Married, with three children, Ruby has lived on the Kitsap Peninsula for 15 years. When not at swim lessons for her son, or at the gym with her husband, she enjoys spending the day at the beach with the whole family or vacationing at Lake Chelan any time of the year. Chandi is a natural at intuitive, strong, and deeply relaxing bodywork. Chandi received her massage training at Boulder School of Massage and has been practicing as an LMT since 1993. She also has a 4-year Feldenkrais certification as well as traditional training as an ayurvedic technician. Chandi also loves meditation, and has been practicing Transcendental Meditation (TM) since 2007. She lived for eight years in the largest TM community in the United States, where hundreds of people gather twice daily in the domes to meditate together. Chandi moved to the Pacific Northwest in 2017, brought here by her love of the outdoors, where she can enjoy mountain biking and equestrian pursuits with her Polish Arabian horse, Morgantina. ​Chandi lives in her tiny house in Port Townsend. A native of Kitsap and alumnus of North Kitsap High School, Mandy graduated from the Cortiva Institute’s Massage Therapy program in Seattle and received her Massage Therapy License in March of 2017. Prior to joining IWC, Mandy practiced at two chiropractic clinics in Seattle where she primarily worked with clients who were experiencing chronic pain, rehabilitating and building flexibility and strength from sports related injuries, and/or healing from a motor vehicle accident. Mandy loves working with prenatal clients and oncology patients. Mandy enjoys yoga, weight lifting and bouldering during her free time, and hanging out with her two cats. knowledge of products, mixology, and Hungarian facial massage techniques. Silver uses her deep knowledge of the Eminence line and active natural ingredients, choosing just the right products for each person's skin and desired results, to deliver customized services that truly address individual needs. the beach or on a trail exploring her new home in Kitsap.